Our guide to Houston will help you find the best free wifi hotspots in Houston Texas. Houston is the fourth-largest city in the United States, the largest city within the state of Texas, and "the energy capital of the world." In the mid-twentieth century, Houston became the home of the Texas Medical Center—the world's largest concentration of healthcare and research institutions—and NASA's Johnson Space Center, where the Mission Control Center is located. Houston is a multicultural city, in part because of its many academic institutions and strong industries. Houston has an active visual and performing arts scene. The Theater District is located downtown and is home to nine major performing arts organizations and six performance halls. There are tons of great free wifi hotspots in the city of Houston, our city guide will help you find the best free wifi hotspots. You may have a hard time deciding what to do in Houston, but we make your decision easy. 10001 Westheimer, (713) 532-7666 - The Carillon Starbucks offers drip brewed coffee, espresso and other drinks and snacks and is also a free WiFi hotspot. 1018 Preston, (713) 222-0817 - Fannin & Preston Starbucks now provides customers with free wi-fi in addition to the normal coffee and espresso served up daily. 10755 N Fwy, (281) 931-0269 - I 45 & West Starbucks now provides customers with free wi-fi in addition to the normal coffee and espresso served up daily. 10805 Louetta, (832) 717-7627 - The Hwy 249 & Louetta Starbucks offers drip brewed coffee, espresso and other drinks and snacks and is also a free WiFi hotspot. 10956 Veterans Memorial Dr, (281) 866-9559 - Augusta's Cup of Joe is a free wifi coffeeshop / cafe located in Houston TX. 10959 FM 1960 Rd W, (281) 807-4845 - FM 1960 & Jones Road Starbucks now provides customers with free wi-fi in addition to the normal coffee and espresso served up daily. 1100 Louisiana St, (713) 650-3319 - The 1100 Louisiana Starbucks offers drip brewed coffee, espresso and other drinks and snacks and is also a free WiFi hotspot. 11191 Westheimer Rd, (713) 782-1827 - Dunobaby Tapioca is a free wifi coffeeshop / cafe located in Houston TX. 11200 Fuqua St, (281) 484-2336 - Coffee Central is a free wifi coffeeshop / cafe located in Houston TX. 11200 NW Fwy, (713) 683-6376 - The Hwy 290 & 34th Starbucks offers drip brewed coffee, espresso and other drinks and snacks and is also a free WiFi hotspot. 1127 Eldridge Pkwy, (281) 920-0030 - It's a Grind Coffee House sells a variety of coffees, teas, blended drinks, and bakery items as well as offers free wireless internet. 114 Gray St, (713) 942-8600 - Java Lounge is a free wifi coffeeshop / cafe located in Houston TX. 1151-12 Uptown Park Blvd, (713) 622-3858 - Post Oak & 610 (Uptown Park) Starbucks now provides customers with free wi-fi in addition to the normal coffee and espresso served up daily. 11611 Katy Fwy, (281) 584-9063 - The I 10 & Kirkwood Starbucks offers drip brewed coffee, espresso and other drinks and snacks and is also a free WiFi hotspot. 11623 SW Fwy, (281) 879-1751 - Hwy 59 & Wilcrest Starbucks now provides customers with free wi-fi in addition to the normal coffee and espresso served up daily. 11805 Westheimer Rd, (281) 556-8382 - The Westheimer & Royal Oaks Club Drive Starbucks offers free WiFi in addition to coffee, espresso and other hot and cold drinks. 11922 Wilcrest Dr, (281) 988-7072 - Doochi E Coffee & Ice Cream is a free wifi coffeeshop / cafe located in Houston TX. 1200 McKinney, (713) 750-0668 - Houston Center Starbucks now provides customers with free wi-fi in addition to the normal coffee and espresso served up daily. 1200 McKinney, (713) 654-9113 - The McKinney & San Jacinto Starbucks offers free WiFi in addition to coffee, espresso and other hot and cold drinks. 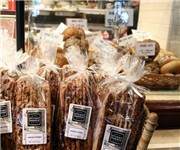 12020 FM 1960 Rd W, (281) 469-1177 - Aroma's Coffee & Tea House is a free wifi coffeeshop / cafe located in Houston TX. 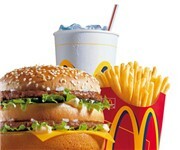 12025 NW Fwy, (713) 476-0081 - The Hwy. 290 & 43rd St. Starbucks offers drip brewed coffee, espresso and other drinks and snacks and is also a free WiFi hotspot. 12127 Sabo Rd, (713) 961-0584 - Shakespeare Coffee Bar is a free wifi coffeeshop / cafe located in Houston TX. 12500 Memorial Dr, (713) 647-9824 - Memorial & Benignus Starbucks now provides customers with free wi-fi in addition to the normal coffee and espresso served up daily. 12503 Tomball Pkwy, (281) 272-0742 - The Hwy 249 & Antoine Starbucks offers free WiFi in addition to coffee, espresso and other hot and cold drinks. 10001 Westheimer Rd, (713) 266-9739 - Wolfgang Puck Express is a free wifi restaurant located in Houston TX. 10001 Westheimer Rd, (713) 784-8811 - Masala Wok is a free wifi restaurant located in Houston TX. 10151 Alfred Ln, (713) 462-0474 - Lunch At Sam's is a free wifi restaurant located in Houston TX. 1025 S Post Oak Ln, (713) 355-1975 - Masraff's On Post Oak Lane is a free wifi restaurant located in Houston TX. 10511 Jones Rd, (281) 894-9939 - Tenshi Sushi & Japanese Noodle is a free wifi restaurant located in Houston TX. 10541 Fm-1960, (281) 970-2800 - Pho Bong Sen is a free wifi restaurant located in Houston TX. 11120 NW Fwy, (713) 582-2089 - Casa Ole is a free wifi restaurant located in Houston TX. 10137 N Fwy, (832) 554-5000 - La Quinta Inn & Suites Houston North is a free wifi hotel / motel / resort located in Houston TX. 1016 Maxey Rd, (713) 455-8888 - Comfort Inn Houston is a free wifi hotel / motel / resort located in Houston TX. 10521 E Fwy, (713) 670-9100 - Best Western Heritage Inn is a free wifi hotel / motel / resort located in Houston TX. 1100 Texas St, (713) 221-0011 - Houston Magnolia Hotel is a free wifi hotel / motel / resort located in Houston TX. 11230 SW Fwy, (713) 455-8888 - Comfort Inn Houston is a free wifi hotel / motel / resort located in Houston TX. 1150 Eldridge Pkwy, (281) 293-8787 - Residence Inn Houston West/Energy Corridor is a free wifi hotel / motel / resort located in Houston TX. 11611 NW Fwy, (713) 290-1740 - Best Western Northwest Inn & Suites is a free wifi hotel / motel / resort located in Houston TX. 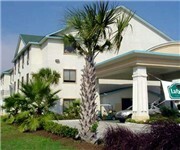 11999 E Fwy, (713) 453-5425 - La Quinta Hotel is a free wifi hotel / motel / resort located in Houston TX. 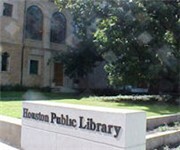 10115 Kleckley Dr, (832) 393-2580 - City of Houston Public Library is a free wifi library located in Houston TX. 10851 Scarsdale Blvd, (281) 484-2036 - Parker Williams Library (Harris County Library) is a free wifi library located in Houston TX. 1133 John Freeman St, (713) 795-0168 - Texas Medical Center Library is a free wifi library located in Houston TX. 11331 Airline Dr, (281) 445-5560 - Aldine Branch Library is a free wifi library located in Houston TX. There are plenty more free wifi hotspots in Houston. See all free wifi hotspots in Houston Texas.